The largest publisher in the world. Their efforts have been one of the greatest stimulants for the growth of homoeopathy worldwide and today they offer over 2400 titles. Promoting Homoeopathy Around the World! http://www.homeopathyusa.org/journal/ – (AJHM) is a peer-reviewed scientific journal, specifically intended to meet the needs of physicians involved in the specialty of homeopathy. Alternative Training is the sister company to the School of Homeopathy. 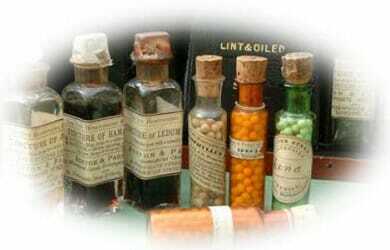 Homeopathic books and related literature. A mail order book service offering a range of books on the subject of homeopathy for students and homeopathic professionals as well as books that provide introductory and self-help information. Sells almost every book on homeopathy. Sells a great range of books, software, discounted products, audiotapes and remedies. A large selection of homeopathy books. ‘Links’ is dedicated to link different views, knowledge and homeopaths from around the world, and is published quarterly. Subjects covered are cases, materia medica, provings, education, politics, philosophy and discussion, book reviews, seminar reports, seminar list etc. A must for the student and practitioner! Homeopathy International is a quarterly journal published by The Homeopathic Medical Association that encompasses topical features, cases and book reviews. Society of homeopaths newsletter is a quarterly publication and is the profession’s principal forum for the exchange of ideas, information and opinion about the growth and future development of homeopathy. A quarterly journal published by The National Centre for Homeopathy in USA with editorials, articles geared to all levels of homeopathic knowledge, particularly with general interest topics; plus cases and seminar reviews. This is a half yearly newsletter with a study group emphasis published by the classical homoeopathic research centre to create a forum under which homeopaths to whom homeopathy is close to their hearts can come together and be bonded by a common objective of sharing homeopathy. Their dream to create a platform that will support the dissemination and propagation of the principles laid down in the Organon. Homeopathy in Practice is the internationally acclaimed journal of the Alliance of Registered Homeopaths. It is published quarterly, and includes: news about ARH, features by eminent homeopaths and researchers, interviews with leading figures, book reviews and reports of developments in the homeopathic profession.